In a Teacher Education ICT course, 35 students worked with iPads on Project Based activities. The students lead projects in schools and produced video clips which portray their learning. The program was evaluated using three tools: the lecturer’s assessment, a questionnaire and questions asking about noteworthy ICT use in their teaching and by their lecturers and master teachers. Findings are that the projects were of high quality, that the students extensively incorporate ICT in their teaching and that they have positive attitudes regarding their benefits. They also criticized traditional use of ICT in their practice schools. Nevertheless, when describing successful examples of their teaching, most of them referred to teacher centered ICT use. Recommendations are that students should participate in more innovative practices in the college and schools and that reflection about their practices should regard not only teaching and learning but also a reveal of their underlying pedagogy. Shayovits, A. & Asaf, M. (2017). Mobile Technologies for Project Based Learning: A Portrayal of the Process and its Effects on Teaching, Attitudes and Educational Beliefs. In J. Johnston (Ed. 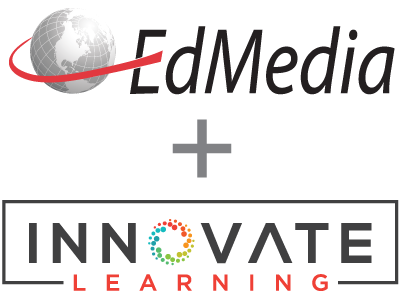 ), Proceedings of EdMedia 2017 (pp. 84-88). Washington, DC: Association for the Advancement of Computing in Education (AACE). Retrieved April 19, 2019 from https://www.learntechlib.org/primary/p/178307/. Goldstein, O. & Asaf, M. (2014). Evaluation of pre-service teachers' preparation for ICT teaching in Israeli Colleges of Education. Proceedings of World Conference on Educational Multimedia, Hypermedia and Telecommunications 2014. Chesapeake, VA: AACE. Retrieved from http://www.editlib.org/noaccess/147493/ Grant, M.M., & Hill, J.R. (2006). Weighing the rewards with the risks? Implementing student-centered pedagogy within high-stakes testing. In R. Lambert& C. McCarthy (Eds. ), Understanding teacher stress in the age of accountability (pp.19-42). Greenwich, CT: Information Age Publishing. Kearney, M., Schuck, S., Burden, K., & Aubusson, P. (2012). Viewing mobile learning from a pedagogical perspective. Research in Learning Technology, 20(1). DOI:10.3402/rlt.v20i0.14406. Lee, J.S., Blackwell, S., Drake, J., & Moran, K.A. (2014). Taking a Leap of Faith: Redefining Teaching and Learning in Higher Education Through Project-Based Learning. Interdisciplinary Journal of Problem-based Learning, 8(2), 2. Lortie, D. (1975). Schoolteacher: A sociological analysis. Chicago: University of Chicago Press. Loughran, J.J. (2004). Student teacher as researcher: Accepting greater responsibility for learning about teaching. Australian Journal of Education, 48(2), 212-220. Markham, T., Larmer, J., & Ravitz, J. (2003). Project based learning handbook: A guide to standards-focused project based learning. Novato, CA: Buck Institute for Education. McLoughlin, C., & Lee, M.J. (2008). The Three P's of Pedagogy for the Networked Society: Personalization, Participation, and Productivity. International Journal of Teaching& Learning in Higher Education, 20(1), 10-27.